I adore the American Ballet Theatre! I decided in November that I would try to really revel in the holiday season this year. It started when, out of the blue one weekend, my husband wished we had crème brûlée for dessert. I hadn’t made that in years but thought, Hey, why not. So I got out a recipe from Ina Garten’s Barefoot in Paris and got to work the following weekend. It made a regular Saturday night a lot more special—a glass of prosecco and crème brûlée! Then I realized I should make the whole Thanksgiving and Christmas season like this—not make myself crazy or stressed, but try to focus less on shopping and presents and more on experiences, special food, and time with my friends and family. It’s going well so far! The ramekins right before going into their water bath in the oven. The crème brûlée was delicious and Tippi had to check in on all the fun. Tippi comes to inspect the crème brûlée and prosecco! 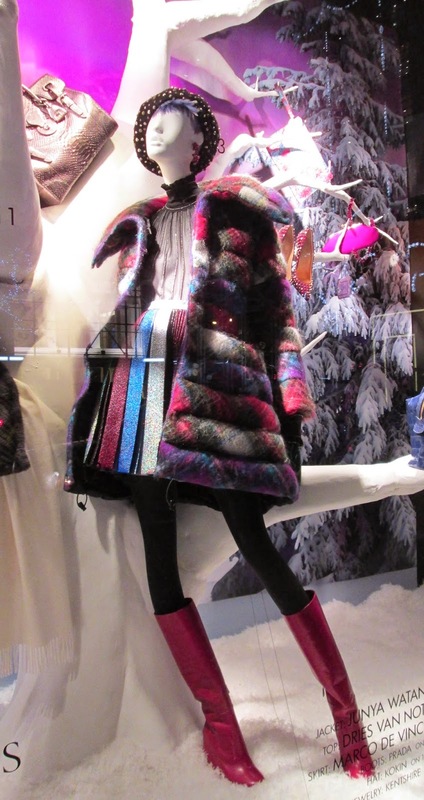 Love all the colors in this Bergdorf window. I’ve already been to see the holiday windows at Bergdorf and Tiffany with my dear friend (and frequent “How I Wear My” photographer) Gwynne. I was not a big fan of the above outfit when I first saw it, but the more I see it the more it grows on me. I definitely love those dark pink boots! I have tickets to see American Ballet Theatre’s version of The Nutcracker at The Brooklyn Academy of Music with my family. I saw this production a couple of years ago and it was divine, the dancing and the costumes were amazing! I am very excited to see Misty Copeland, an ABT soloist, perform the night we attend since I have never seen her on stage before. I love this picture of ABT Soloist Misty Copeland. I cannot wait to see her dance in The Nutcracker! Never too old for Eloise! 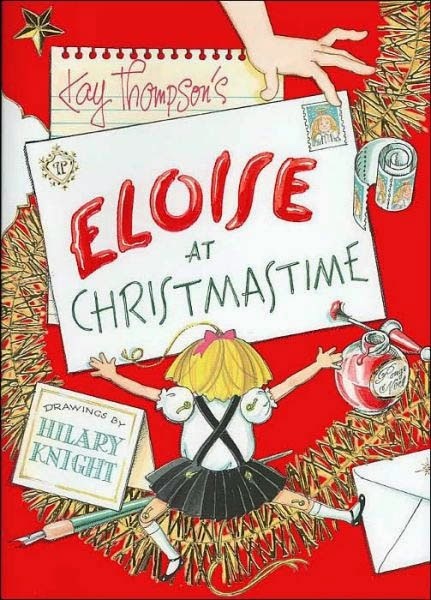 I’ve already read Eloise at Christmastime, by Kay Thompson and Hilary Knight, with my kids, and we will be reading it again, probably several times! My son and daughter both love Eloise’s antics any time of year, but she seems even more fun and zany at Christmas, and the drawings by Hilary Knight feel like a gift every time I see them, they are so beautifully done and bring me such pure joy. He is so talented! Zara lace blouse (love) with a J. Crew necklace. I will be wearing plenty of my fanciest things the second half of the month, like this purple and red lace Zara blouse and sparkly J. Crew necklace. Tell me how you are making the holidays special for yourself or your family. I would love to hear all about it! 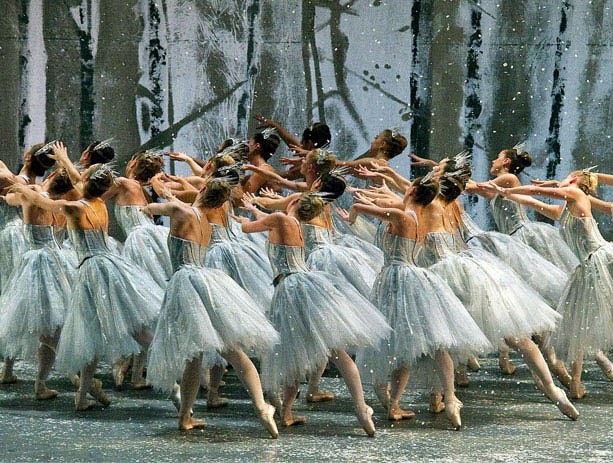 I share your love of the ABT and the Nutcracker. Did you see the piece in VF on Balanchine's Nutcracker, which launched myriad Nutcrackers across America? Eloise is the best---I love them all, but the Christmas book is possibly my favorite with the Paris trip running a close second. I enjoy your posts very much---beautiful images and such well-considered text. Thank you. We haven't decided if we are going away this year or not. We often try to look for last minute getaway deals. If not, I will be baking homemade donuts for Christmas morning. We don't do gifts but that will make it special. I also do a wicked eggs benny from scratch...maybe that'll be for Boxing Day. An ABT Nutcracker and creme brulee with prosecco is just about perfect in my book. My favourite Christmas ritual is going to my dear Auntie J's Christmas Brunch she hosts the Sunday prior to Christmas. She's been doing it for over 30 years out in her beautiful village of Barrington. I usually take the train out and it feels like being transported into a Norman Rockwell scene with the whole town done up. Auntie J always has her place so beautiful and festive with her collection of Nutcrackers she's collected all her life out on seasonal display. For years my grandmother Dodie was always the star attraction up from Naples, FL for her Christmas visit and she was a celebrity with the whole town doting on her and her laugh, the most delightful sound I've ever heard, beguiling everyone within earshot. Dodie is gone now but the ladies love hearing me regale of amusing Dodie anecdotes of Christmas's gone by. I would love to see the Nutcracker in New York...what a special occasion that would be...and maybe I will also make a special dessert evening to try and make things different this year. Thanks for the idea and the fun post, Jill. I used to focus on gift buying at Xmas and a while back I decided, like you, to enjoy the whole season & make it about experiences, instead. Since I live most of the year right outside Manhattan, its easy to revel in the season. In the past 10 days have already viewed many of the decorated windows along 5th with a stop at the Rockefeller Center tree. Had lunch at an Irish Bar - P.J. Clarke's (great burgers). Shopped at Eataly to pick up some cheeses & sausages for a family brunch& had lunch at their restaurant Manzo. Saw a Broadway show -- "Its About a Play". And plan to binge on classic Christmas movies to recuperate. Eloise is such a favorite of mine - when I was a child I wanted to live and run around the Plaza just like Eloise. Hi Janet, thank you for the wonderful compliment. Wow! I did see that piece in VF about Balanchine and the Nutcracker and hope to get a chance to read it this week! I really need to see more ballet. It's one of those arts that I just love to experience! Hi Rosie! Ha, I still want to go run around the Plaza like Eloise! You know, I have never been inside the Plaza, I wonder if I should make a trip, maybe have a drink at the Champagne Bar? You sound like you are having a wonderful holiday season. Wow! You have done so much already! It all sounds so good. I love that you make it about experiences, I really want to make that the focus from now on! Your Christmas sounds right up my alley and very similar to what we plan on doing. With the extreme materialism associated with this beloved Holiday, we have decided to ignore the shopping frenzy as well and focus on the true meaning. Lots of family time together, enjoying Christmas plays and just taking it at an easier pace. Linda, you HAVE TO make some creme brulee with your new KitchenAide mixer! So glad you got it in red, now we are twins!